Finishline Photography is part of MySportsResults.com that provides athletes, fans and parents with unique photo and video coverage of XC and Track & Field meets. 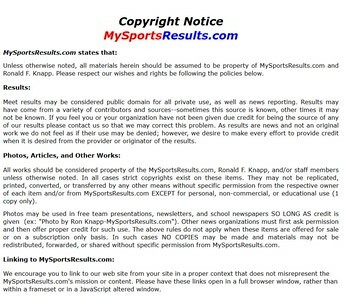 All content on this site is the property of MySportsResults.com. Reproduction of content in any way is prohibited unless given written permission by Ron Knapp. Email Ron Knapp at mysportsresults@gmail.com for requests of usage.